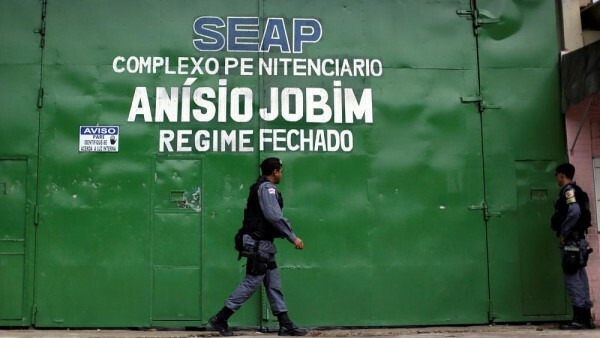 Manaus (Brazil) - The deadliest prison riot in Brazil in 20 years has left 56 people dead after violence spiralled out of control between two rival drugs gangs in a jail in Manaus. One hundred and twelve prisoners used the chaos to escape and have melted into the surrounding Amazon jungle. The trouble began during New Year’s day family visits when one gang started killing the other, sending mothers and children streaming out of the prison in panic. Bodies were decapitated and thrown over the prison’s walls. The privately-run prison’s guards were overwhelmed and soldiers had to be called in to restore order after 17 hours of mayhem. Brazil’s prison system is among the worst in the world, with 42% of inmates awaiting trial compared to a global average of 20%. Pope Francis, on hearing the news, appealed for prison reform and said “prison conditions should be fitting for human beings”. One escapee boasted of his evasion and posted social media pictures of himself in the jungle, promising single ladies he was out and on his way.